Big news. Its taken me quarter of a century, but I think I might have PERFECTED MY HAIR CARE ROUTINE. And when I say that’s big news, I really mean it. 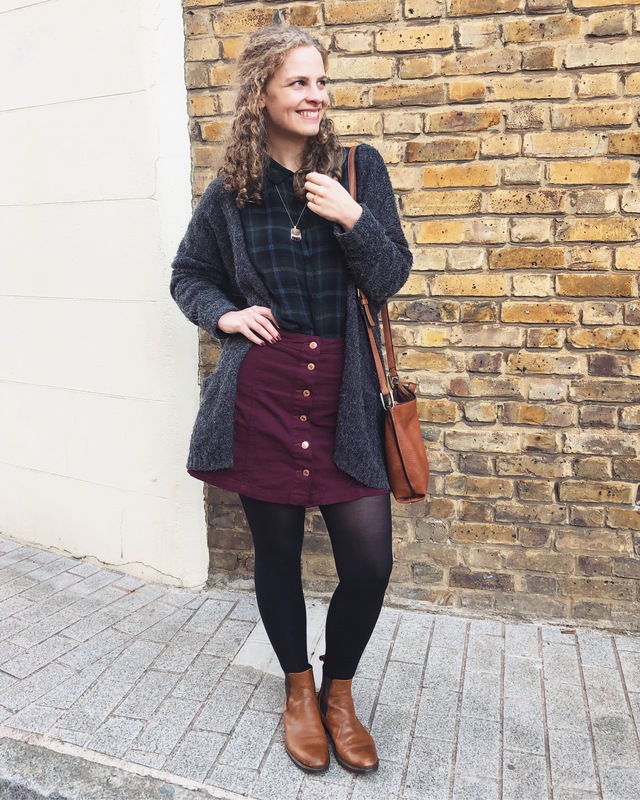 For me, my hair has been a nightmare from the day it started to grow (ok so given the fact that I was bald until I was a toddler maybe I’m exaggerating the length of time, but not by much). I’m going to make a more detailed post about my new hair care routine later on, with all the products I use, but for now I just wanted to share the most recent one, because this one is had such an INCREDIBLE effect that I had to share it right away. Don’t ask me why I photographed it next to my lavender, because all I can tell you is that I’m rather proud of my decorative arrangement and it was just sitting there when I went to take the photo. 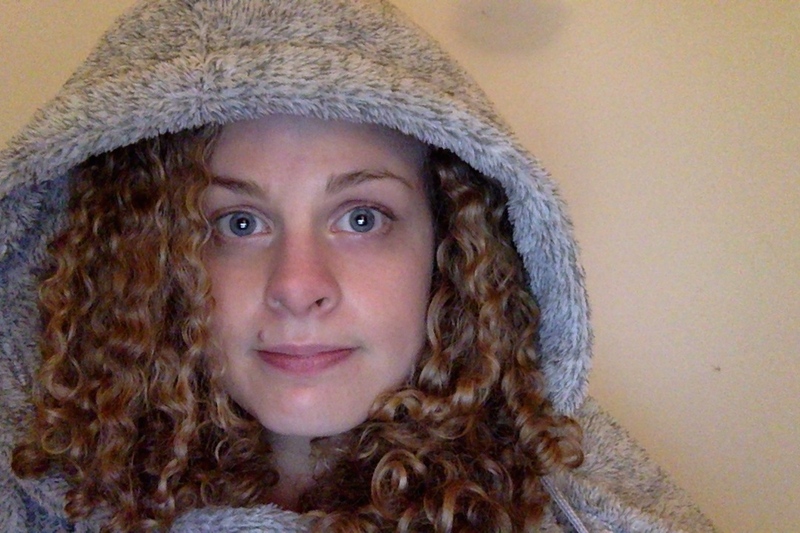 No, not even taking a selfie for my blog will get me out of my fleece hooded poncho when I’m in it. It’s got pockets for heaven’s sake. I will post some clearer pictures of my hair when I do the post on my full routine so you can actually see the result. But this was taken yesterday, and I washed it on Saturday, so you can see how well the curls have stayed. 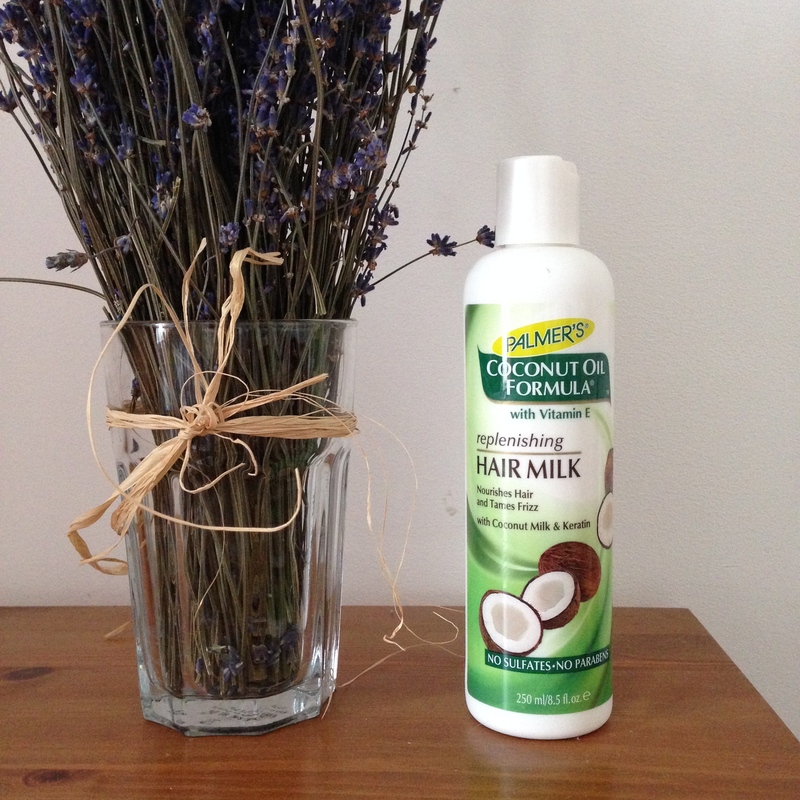 The best thing about this Coconut Oil Hair Milk is that I got it on offer at my local Sainsbury’s for under £3! Normally £5, which is still an absolute bargain for such an amazing product. Even I only needed a couple of globs for my whole head (trust me, I have more hair than you do) so it’ll last for ages – Thank you Palmer’s! This entry was posted in Hair care and tagged curly hair, curly hair care, Hair care. Bookmark the permalink.